The Broads Society has, for many years, campaigned for the removal of overhead power lines in Broadland. This has seen the removal of power lines that impacted the St Benets level in the Bure valley and encouraged the Broads Authority to continue with this work in other areas. This has seen the successful removal of several short spans of power line that spoilt the landscape. During more recent times alarm was raised by the Media that the development of offshore wind farms could see new high voltage transmission lines impinge on the Broads landscape. This related to forthcoming, long term, larger scale proposals to upgrade the whole National Grid infrastructure. Locally these upgrade requirements reflect the ongoing development of offshore wind farms. 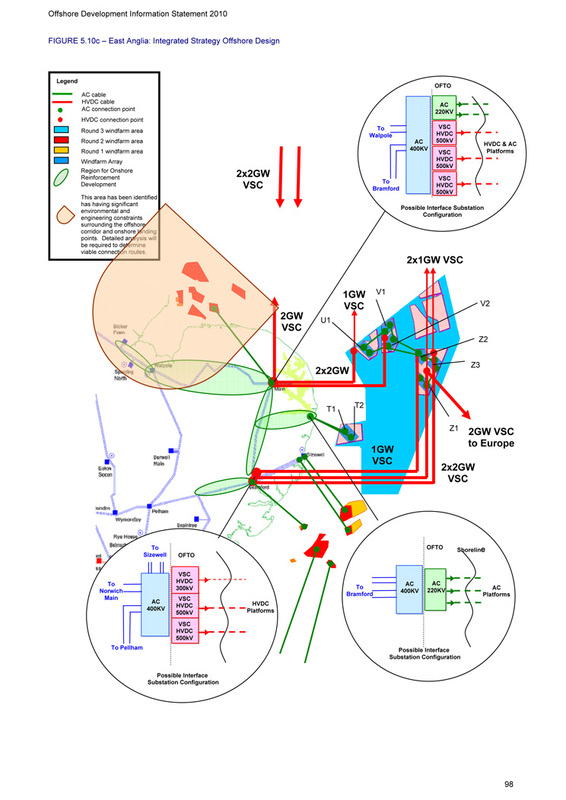 A diagram explaining how possible future upgrading of the grid system may occur in this area can be found here. present plans (2018) now show that the first power cables coming ashore will be underground rather than overhead and will avoid the executive area of the Broads Authority. 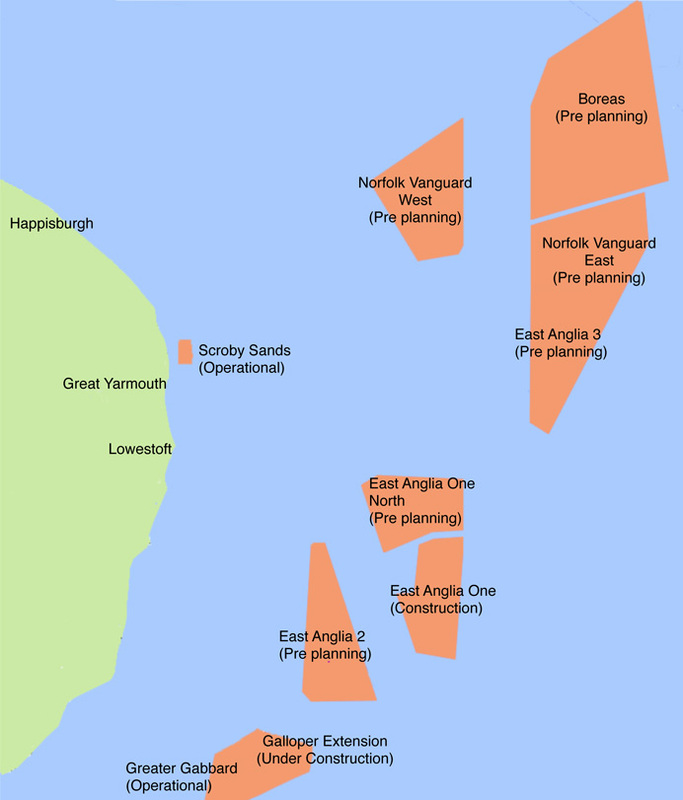 The concern in the Broads area was with regard to the project landfall connections originally named ‘Lowestoft’ & ‘Norwich’ with the Norwich connection coming ashore on the Coast near Happisburgh. While still at the planning and consultation stage the Happisburgh connection now looks unlikely to affect areas of the Northern Broads (HVDC Under-grounding) While a possible much later, Lowestoft connection could affect the Waveney valley. Details of the development now named Vanguard can be found here: Vanguard Website The preliminary consultations are now underway. 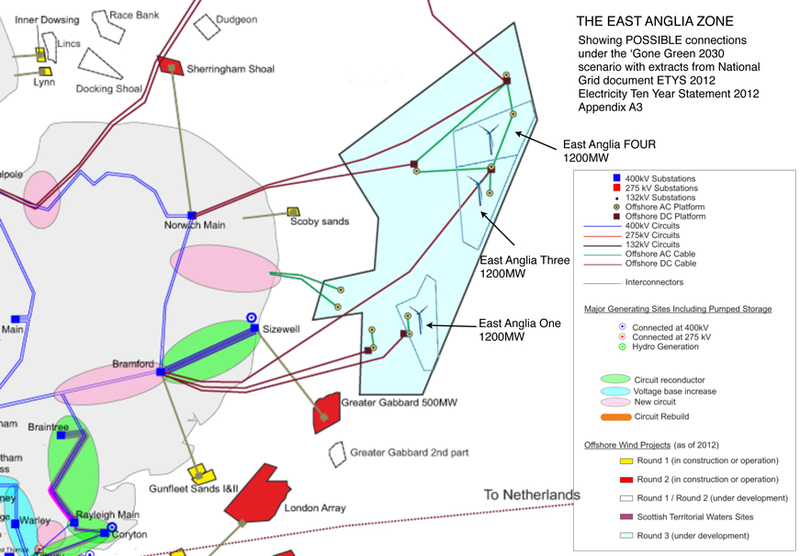 The landfall site details are within the Happisburgh area with under grounding of cables to Grid connection point at Necton. The exact locations of the landfall and onshore infrastructure are yet to be determined. 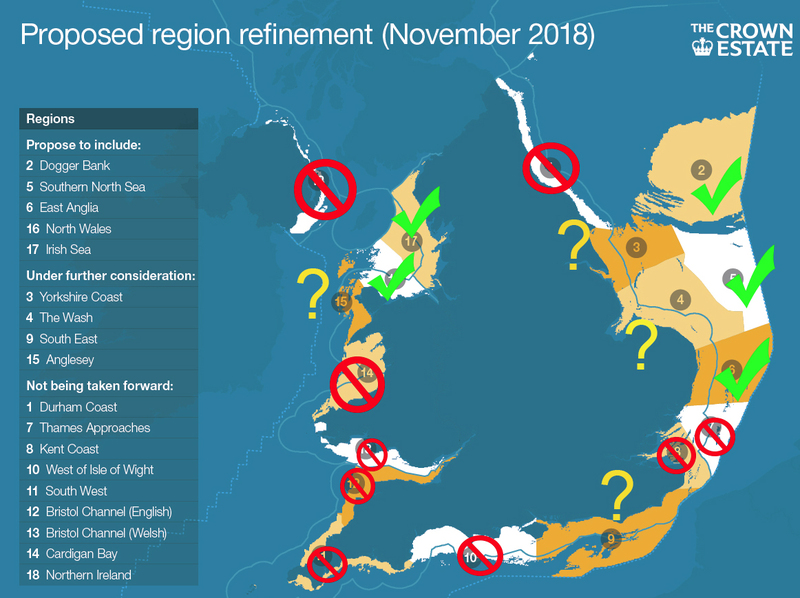 Site selection for the onshore infrastructure locations is ongoing and responses to public consultation will help to inform the development of Norfolk Vanguard.